The name itself is thought to have derived from a Gaelic-Celtic word meaning ‘bright/sacred fire’. It was held to mark and celebrate the blossoming of spring, and coincided with the ancient pastoral event of moving livestock to their summer grazing. It did not occur on any fixed solar date (the tradition of solstices and equinoxes is later in origin) but tended to be held on the first full moon after the modern 1st of May. Some sources suggest that the blooming of the Hawthorn was the primary signal for the event before the development of centralised calendars. 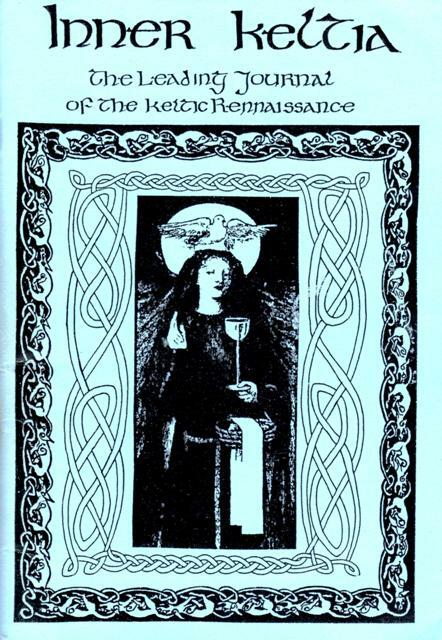 As an ancient Gaelic festival, Bealtaine was celebrated in Ireland, Scotland and the Isle of Man, though there were similar festivals held at the same time in the other Celtic countries of Wales, Cornovii areas of England, Brittany and Cornwall. Bealtaine and Samhain were the leading terminal dates of the civil year in Ireland though the latter festival was the more important. The festival survives in folkloric practices in the Celtic Nations and the Irish diaspora, and has experienced a degree of revival in recent decades. In Wales, the day is known as Calan Mai, and the Gaulish name for the day is Belotenia. It was a celebration of the fertility of the land and their animals. The main traditional element which was common to all Beltane festivals was the fire which gave it its name. All the fires of the community would be extinguished and a new, sacred ‘Need Fire’ was lit by either the village head or spiritual leader. From this source one or two bonfires were lit, and the animals of the community would be driven through or between them. It was believed that the smoke and flame of the fires would purify the herd, protecting them in the year to come and ensuring a good number of offspring. The inhabitants of the village would then take pieces of the fire to their homes and relight their hearths, and dance clockwise around the bonfires to ensure good portents for them and their families. For the Celts, Beltane marked the beginning of the pastoral summer season when the herds of livestock were driven out to the summer pastures and mountain grazing lands. Due to the change from the Julian calendar to the Gregorian calendar, Bealltainn in Scotland was commonly celebrated on May 15 while in Ireland Sean Bhealtain / “Old May” began about the night of May The lighting of bonfires on Oidhche Bhealtaine (‘the eve of Bealtaine’) on mountains and hills of ritual and political significance was one of the main activities of the festival. In modern Scottish Gaelic, Latha Buidhe Bealltainn or Là Buidhe Bealltainn (‘the yellow day of Bealltain’) is used to describe the first day of May. This term Lá Buidhe Bealtaine is also used in Irish and is translated as ‘Bright May Day’. In Ireland it is referred to in a common folk tale as Luan Lae Bealtaine; the first day of the week (Monday/Luan) is added to emphasise the first day of summer. 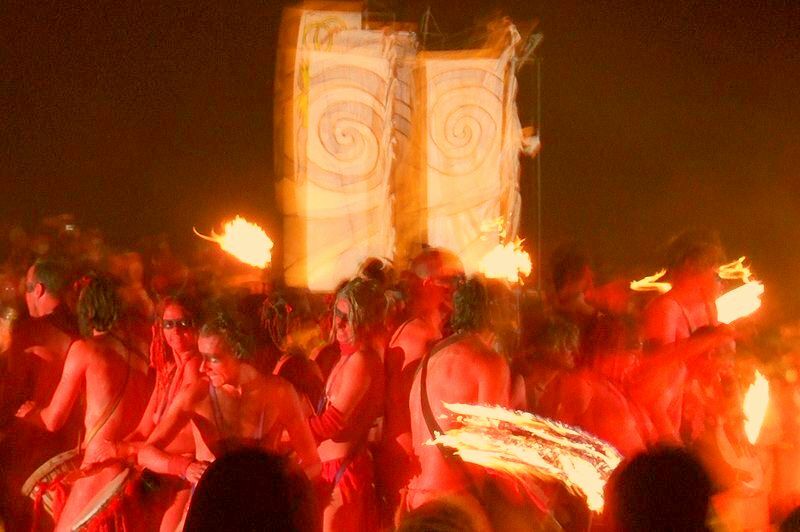 In ancient Ireland the main Bealtaine fire was held on the central hill of Uisneach ‘the navel of Ireland’, one of the ritual centres of the country, which is located in what is now County Westmeath. In Ireland the lighting of bonfires on Oidhche Bhealtaine seems only to have survived to the present day in County Limerick, especially in Limerick itself, as their yearly bonfire night and in County Wicklow in Arklow, though some cultural groups have expressed an interest in reviving the custom at Uisneach and perhaps at the Hill of Tara. The lighting of a community Bealtaine fire from which individual hearth fires are then relit is also observed in modern times in some parts of the Celtic diaspora and by some Neopagan groups, though in the majority of these cases this practice is a cultural revival rather than an unbroken survival of the ancient tradition. Another common aspect of the festival which survived up until the early 20th century in Ireland was the hanging of May Boughs on the doors and windows of houses and the erection of May Bushes in farmyards, which usually consisted either of a branch of rowan/caorthann (mountain ash) or more commonly whitethorn/sceach geal (hawthorn) which is in bloom at the time and is commonly called the ‘May Bush’ or just ‘May’ in Hiberno-English. Furze/aiteann was also used for the May Boughs, May Bushes and as fuel for the bonfire. The practice of decorating the May Bush or Dos Bhealtaine with flowers, ribbons, garlands and colored egg shells has survived to some extent among the diaspora as well, most notably in Newfoundland, and in some Easter traditions observed on the East Coast of the United States. Bealtaine is a cross-quarter day, marking the midpoint in the Sun’s progress between the spring equinox and summer solstice. Since the Celtic year was based on both lunar and solar cycles, it is possible that the holiday was celebrated on the full moon nearest the midpoint between the spring equinox and the summer solstice. The astronomical date for this midpoint is closer to May 5 or May 7, but this can vary from year to year. Place names in Ireland that contain remnants of the word ‘Bealtaine’ include a number of places called ‘Beltany’ – indicating places where Bealtaine festivities were once held. There are two Beltanys in County Donegal– one near Raphoe and the other in the parish of Tulloghobegly. Two others are located in County Tyrone, one near Clogher and the other in the parish of Cappagh. In the parish of Kilmore, County Armagh, there is a place called Tamnaghvelton/Tamhnach Bhealtaine (‘field of the Bealtaine festivities’). Lisbalting/Lios Bealtaine (‘fort or enclosure of Bealtaine’) is located in Kilcash Parish, County Tipperary. Glasheennabaultina (‘the Bealtaine stream’) is the name of a stream joining the River Galey near Athea, County Limerick. In Irish mythology, the beginning of the summer season for the Tuatha Dé Danann and the Milesians started at Bealtaine. Great bonfires would mark a time of purification and transition, heralding in the season in the hope of a good harvest later in the year, and were a ccompanied with ritual acts to protect the people from any harm by Otherworldly spirits, such as the Aos Sí. Like the festival of Samhain, opposite Beltane on October 31 Beltane was also a time when the Otherworld was seen as particularly close at hand. Early Gaelic sources from around the 10th century state that the druids of the community would create a need-fire on top of a hill on this day and drive the village’s cattle through the fires to purify them and bring luck (Eadar dà theine Bhealltainn in Scottish Gaelic, ‘Between two fires of Beltane’). This term is also found in Irish and is used as a turn of phrase to describe a situation which is difficult to escape from. In Scotland, boughs of juniper were sometimes thrown on the fires to add an additional element of purification and blessing to the smoke. People would also pass between the two fires to purify themselves. This was echoed throughout history after Christianization, with lay people instead of Druid priests creating the need-fire. The festival persisted widely up until the 1950s, and in some places the celebration of Beltane continues today. A revived Beltane Fire Festival has been held every year since 1988 during the night of 30 April on Calton Hill in Edinburgh, Scotland and attended by up to 15,000 people (except in 2003 when local council restrictions forced the organisers to hold a private event elsewhere). Today starts the month of the Willow tree on the Celtic calendar. It goes from April 15 – May 12. This is a great time for magic concerning the moon, romance, fertility and intuition. The Willow tree, known by the Celts as Saille, is associated with the moon, and since they grow in swampy marshy areas, they are also associated with the earthly feminine, and the feminine cycles. The Willow can also bring dreams and night visions. 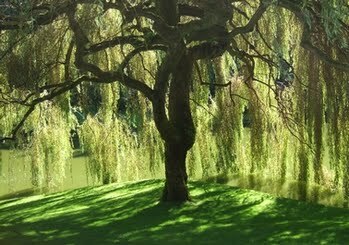 The Willow Tree was sacred to the triple Godess in Celtic Myth, and associated with the Cailleac, a crone figure. The crone represents the spirit of wisdom, and the Willow was seen as a tree of wisdom in the Celtic world. The Druids cultivated parts of the Willow for usage in herbal medicines. This has always been known as a tree of enchantment. To honor the Willow tree, and receive some of its sacred wisdom, celebrate Beltane on May 1. The ancient fire festival of fertility. I had the chance to get an approach to this magnificent magazine through Wendy Newton from Green Linnet Records who kindly send me some volumes as a present by the 80’s. Thus I got acquainted of the outstanding work of J.A.Johnston (also known by his druidic name Kaledon Naddair ) who was it’s editor and reviewer. Besides several articles each volume contained amazing interviews like this one published on Inner Keltia 4 issued on June ’83 , and I thought worthy to post. If you wish to purchase more of Kaledon books and works please feel free to visit the official website of Keltia Publications. In this opportunity Andy Irvine and Dolores Keane were interviewed by John A Johnston. “Ralph McTell came over from London to talk about the band and play a few songs. Now there was an idea! Eventually we asked Arty McGlynn, James Kelly and Dolores Keane to join and we rehearsed in Bill Whelan’s house. We played a tour of Britain, finishing off at the Dominion Theatre in London. It was a very good gig , jammed to the gunnels, nobody shouted out ”Where’s Christy?” and we sailed back to Ireland content enough. We played a short tour of Ireland and that was that. “The new-look 6-piece Planxty is a very much changed beast, only Andy Irvine and Liam O’Flynn remaining from earlier line-up. Christy Moore’s singing and personality will be deeply missed. Also no matter how competent the new musicians are, the rythmn-section will lack the drive of a Donal Lunny or a Paul Brady. However, on the bright side, the infectiously appealing singing of Dolores Keane should please many connoisseure of Irish Folk Husic. If posterity judges this present line-up of Planxty to be weaker than earlier ones, then it must also judge Christy to have less impact on the Folk Scene solo than in Planxty or Moving Hearts. JOHN – Is this present line-up of Planxty intended just as a short-term arrangement, or would you like to see it continueing for a long time.? ANDY – On the contrary, the very reason for its existence at all is because it is intended to be a long-term thing. The idea for a band this size was born over a year ago, Liam and myself wishing to rectify the situation of Planxty always being in moth-balls. Chriaty and Donal were playing in Moving Hearta and we were very frustrated not playing, and people would come up to us and keep saying ‘I’ve heard Planxty has broken-up’,’what happened’. We decided then that we should reformulate Planxty without Christy and Donal, and that ia the way it now is. J : What were Christy and Donal’s reasons for leaving Planxty ? A : Their reasons are perfectly straightforward – Christy left Planxty and Moving Hearts because Christy is always changing and right now he wants to play on his own; Donal never officially left the Band, he just couldn’t play in Moving Hearts and Planxty, and he was heavily committed to Moving Hearts. J : I heard a rumour that the Concert you did last night was being recorded, was that for Irish radio, or for what purpose ? A : Por the BBC. We were rather unhappy about that. WDR Cologne wants to take 3 tracks off it, BBC Belfast wants to take 1 track, and we just felt it was a bit ridiculous to have the very first Concert in this new line-up recorded, as there were bound to be lots of sound and teething problems. J: Has the Group in its present line-up got plans for an album soon, or do you want to try out new material first ? DOLORES : We’re talking about it, some of the material is going to change. I want to change some of my songs. A : Obviously we do want to make an album as soon as possible, but we don’t want to make it before the band has properly settled down. J : Do you ever sings songs at Concerts because you wish to preserve them for posterity ? D : The only reason I’d sing a song is first of all because I like it, secondly because it suited my style of singing. I really haven’t thought about singing a song to preserve the tradition, it hasn’t come up yet, but maybe in the future I’ll think about it. A : I wouldn’t sing a song I didn’t like, and I don’t have too much of a preservationist feeling towards songs, if a song is good it will be preserved anyway. I do like to sing songs other people don’t sing, but if there was a song other artists were ainging, and I liked it, I’d still sing it. J : Irish people last night lamented the fact that no ‘rebel songs’ were sung due to the absence of Christy. What does the Group feel about Republican songs, and the ongoing struggle for a whole Irish Republic ? A : Planxty never sang protest songs. Planxty, with Christy Moore’a consent was always non-political, alright we did “Only our Rivers Run Pree” etc, but that is not really a political song. My only committment is to sing songs I really like. We’re planning to introduce a song quite soon about a man called Raol Wallenburg who saved 20,000 Jews in Budapest in 1935 then was taken into the USSR and who has never been heard of since, and nobody has tried to find out what happened to him – this song is political but it is not “Irish-political’. The Irish situation is so complicated I can’t relate to people who sing too ‘black and white songs'(clearly opinionated – Ed.) I couldn’t sing ‘black and white’ songs because there are always’grey áreas as far as I’m concerned. J : I’ve been speaking to a lot of Irish Groups over the past year and they were lamenting the fact that Comhltas Ceoltoiri Eireann seemed to be breaking down , and not seeming to get the support it used to. Do you think this is true, and do you think it ia bad for Iriah Music ? D : You still get competitions and there almost aeems to be more now than I have ever seen before. The young musicians are still coming up, they are still there. I don’t know if Comhaltas had all that much to do with young folk musicians coming up in Ireland.